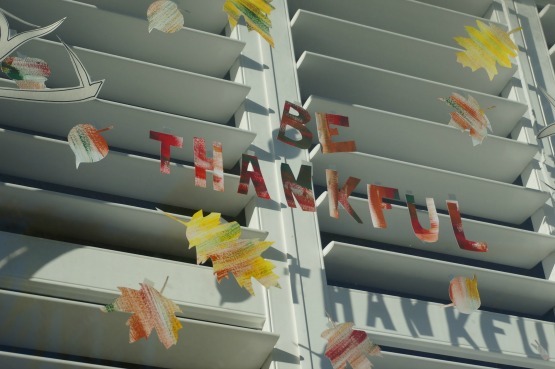 If you follow along with us on Facebook or Instagram, then you will already know that I picked up a “Be Thankful” window cling a couple of weeks ago from Target. While I know that this message is intended for Thanksgiving…I fell in love with idea of seeing the words “Be Thankful” everytime we sat down to eat a meal at our dining room table. Sometimes it can be so easy to forget how thankful we really should be. I felt completely inspired and I wanted to find a way to share this beautiful message with others. Thus, was born our “Be Thankful” fall front window display. The girls and I got busy crafting a lovely fall scene, filled with falling leaves and squirrels…and, our message…be thankful…a thoughtful Thanksgiving craft for kids to make. 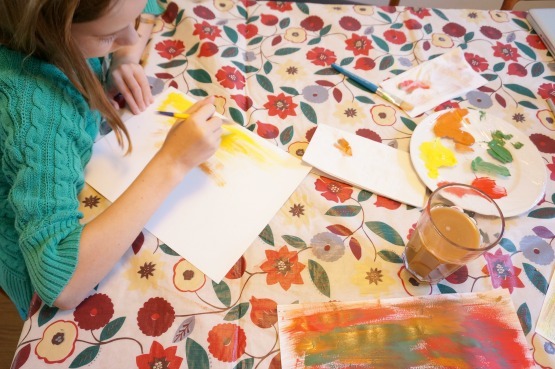 First, I had the girls paint fall colours on watercolour paper. We used acryllic paints; red, yellow and brown. 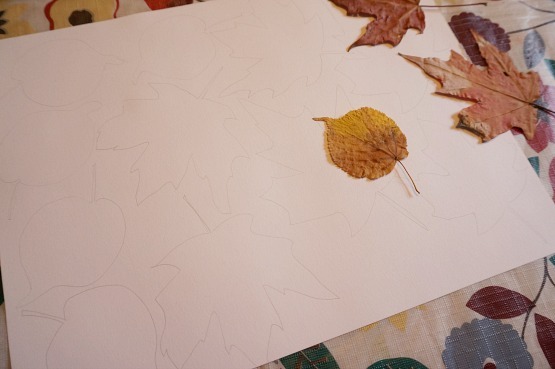 Once the paint dried, it was time to use real leaves as templates for our paper leaves. We traced and cut out the leaves. My youngest daughter took on the task of creating little squirrels and acorns. Again, using the colourfully painted paper. I drew 2 trees and cut them out of IKEA’s roll of paper..we love those rolls of paper from IKEA. After I cut out the trees, I used regular transparent tape to adhere the trees to the window. My youngest daughter and I placed and taped the falling leaves, squirrels and acorns. 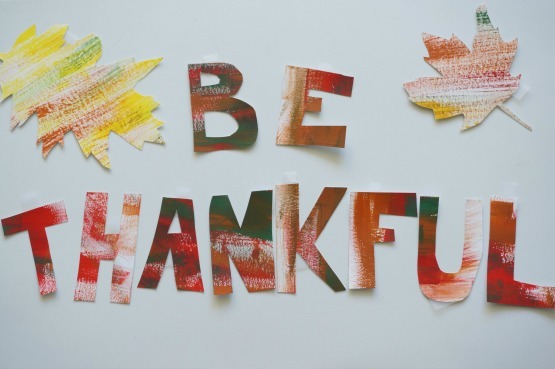 After I cut out our main message, we then taped on “Be Thankful” in the centre of our window display. I love how we are sharing this message with our friends and neighbours. Some might notice and others won’t. 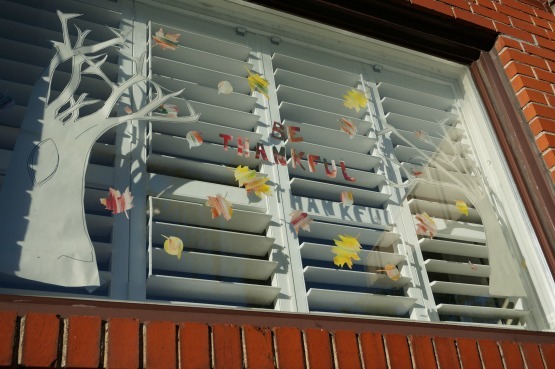 Our hope is that those who do read our window message will take a moment to reflect on all that they are truly thankful for. Please come on over and join Kitchen Counter Chronicles on Facebook and Pinterest.